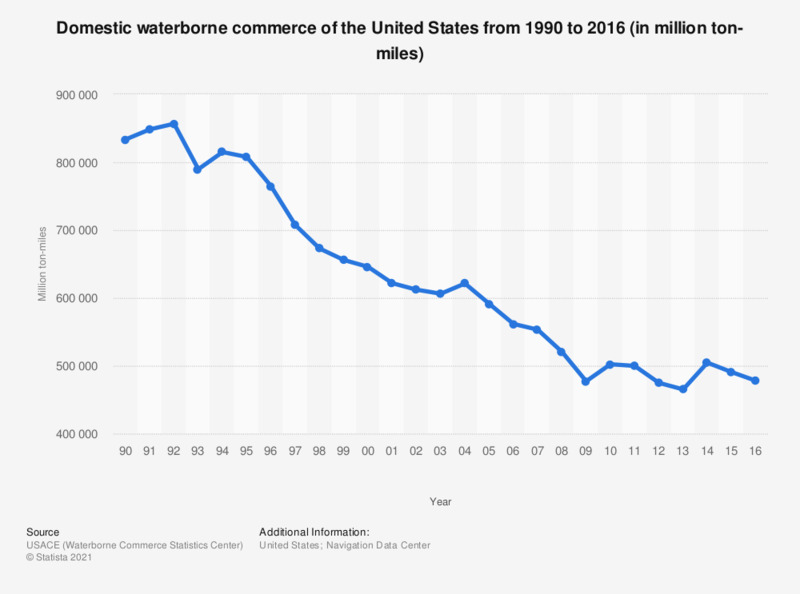 This statistic represents domestic waterborne commerce in the United States from 1990 to 2016. In 2000, the number of ton-miles in domestic waterborne commerce was 645.8 billions in the United States. The figures prior to 1996 are taken form a previous edition.